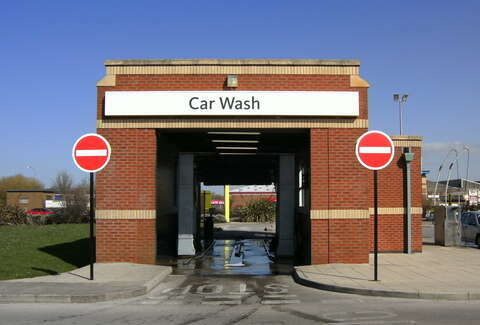 Taking a nice car to a mechanized or "full-service" car wash is like going to the best steakhouse in town and ordering your prime rib well done. It's a waste of money, and for bona fide car guys, it can be painful to watch because it's actually pretty bad for your car. Sure, there are some places that will properly wash your car using skilled detailers and high-quality products, but you're going to pay so handily for that service, you may as well just hire someone to come out and clean it in your own driveway. With warmer weather finally upon us, for the good of all cars everywhere, please learn how to properly wash your car at home. What does that entail, exactly? A wash mitt made of microfiber, so it lifts dirt off instead of grinding it into your paint. I highly recommend using one for the wheels, and another for the body of your car. If this sounds like a lot of wasted effort to you and you're like "thanks but nah, I’m just gonna hit up a car wash instead," read on. Don't say I didn't warn you. You're literally spraying your car with acid. Actual acid! This isn't a metaphor, nor am I making some ecological point about acid rainwater. Hydrofluoric acid can be a mean SOB -- you might remember it from Breaking Bad, wherein it was used to dissolve bodies. Well, it's particularly well suited to eat away very fine particles... like road grime. 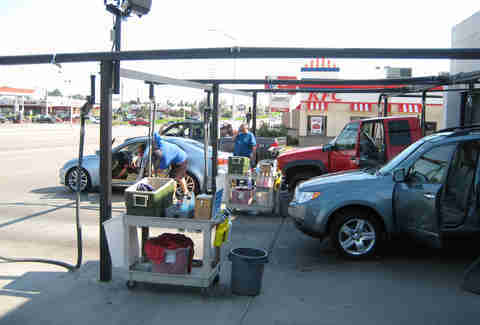 As a result, a lot of those "pre-cleaners," "heavy-duty cleaners," and most wheel cleaners have hydrofluoric acid in concentrations strong enough that the CDC even issued a warning to all car wash industry workers. OK, even if you forget about the acid for a second, you're still hurting your paint every time you go to an automatic carwash. Remember those horrific giant spinning monsters from decades past that would maul your car to get the dirt off? Those are mostly extinct today, but even the "softer" brushes repeatedly slap against your car and drag across its paint, carrying with them a bunch of dirt, not just from your car, but from the car in front of you, and the one in front of it, etc. 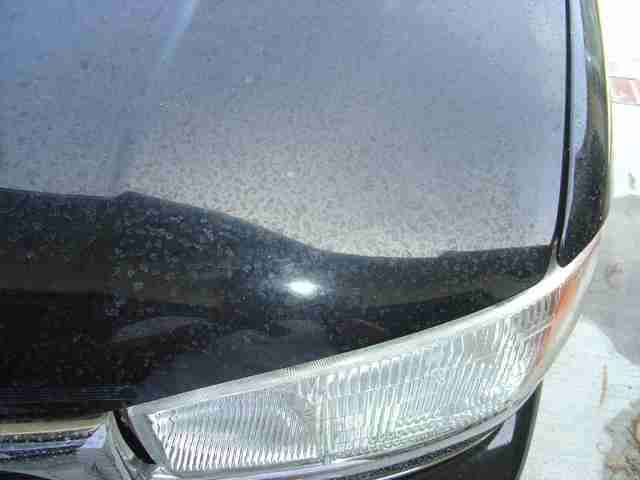 Each particle is essentially a tiny piece of sandpaper eating away at your car's paint. For the sake of argument, pretend you have a small rock chip. Maybe it's brand new and you've never even seen it. A quick blast of water at close range with enough pressure is all it takes to do serious damage. If your paint happens to get pressurized water under it, it can force up the exposed edge and peel away even more paint. Unless you're using water that's so heavily filtered it can be used in a medical saline solution, it can leave mineral deposits on your paint if it evaporates too quickly. Not only are water spots ugly as sin, they're basically permanent -- like cleaning soap scum off your shower, you can't always get them off without heavy-duty polishing. 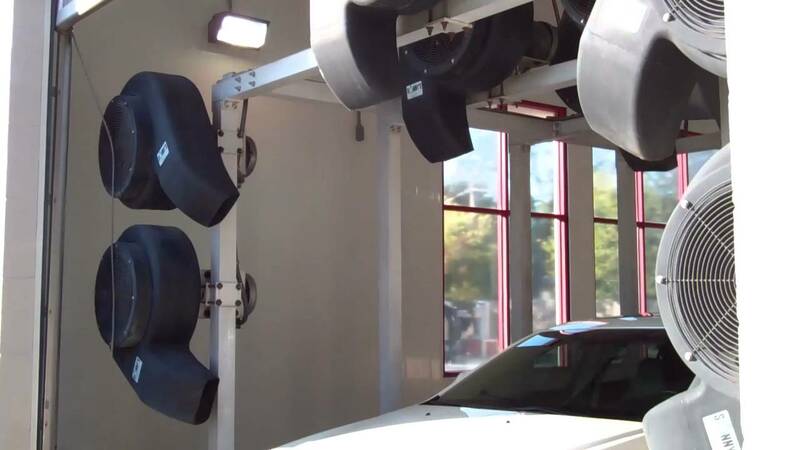 If you run through the car wash and get back on the road without drying, or by simply letting those cool-but-worthless giant hair blowers push the water around, you will cause damage to your paint once you're back out in the hot sun. Dry the car yourself, preferably in the shade if at all possible. Make sure it's actually dry, not damp, not mostly dry, but dry. And before someone tries to bring rain into this, bear in mind it's generally not sunny when it rains, and it generally is sunny when you wash your car. So your paint surface is hotter, and thus the water evaporates faster, and the risk for water spots is much higher. Humans! 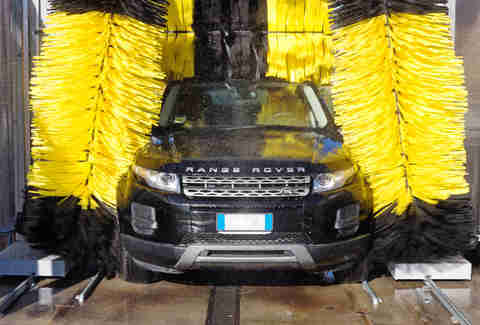 These are found at the most expensive, fanciest car washes. They're the best, right? Not quite. Take a look at the rags they use. Pay attention to how many times those rags get dropped on the ground and picked back up. Now go drop a damp shirt outside and see how much grit it picks up. Still want it rubbing against your body? Neither does your car. But what if it's an emergency? Honestly, I had a hard time thinking this one out, because what sort of "emergency" necessitates a car wash? But... if your car is as disgracefully filthy as the Porsche in this photo and you need it clean ASAP, then I suppose one time isn't going to be the end of the world. Probably. You still want to minimize the damage, though, as Mike Pennington, who heads up training for all of Meguiar's, put it: "Make sure and do your homework to choose the best possible location. Get to know the manager and the staff, as this will help to make sure your car gets that extra bit of attention it deserves when they are working on it." Aaron Miller is the Cars editor for Thrillist, and can be found on Twitter. He still finds car washes creepy.